BROOKZILL! Drop “Let’s Go (É Noiz)!” w. ELLE, LP ‘Throwback To The Future’ Out 10/7 on Tommy Boy Ent. LP Out October 7th via Tommy Boy Ent. BROOKZILL! represents a family that extends far beyond its four principal players (Prince Paul, Ladybug Mecca, Don Newkirk, Rodrigo Brandão). 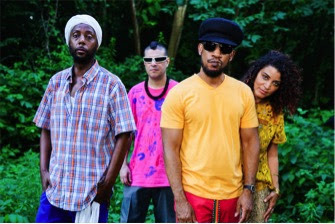 Fusing old-school New York hip-hop with the sounds of Brazil, the fusion-focused supergroup are giving rise to a borderless community of artists and fans, a cross-cultural, cross-continental tribe of Brookzilians driven by love of rhythm and spiritual purity through sound. Today they share the new single along with a lyric video for “Let’s Go (É Noiz)” with ELLE Magazine off their debut album Throwback To The Future out October 7th onTommy Boy Ent. 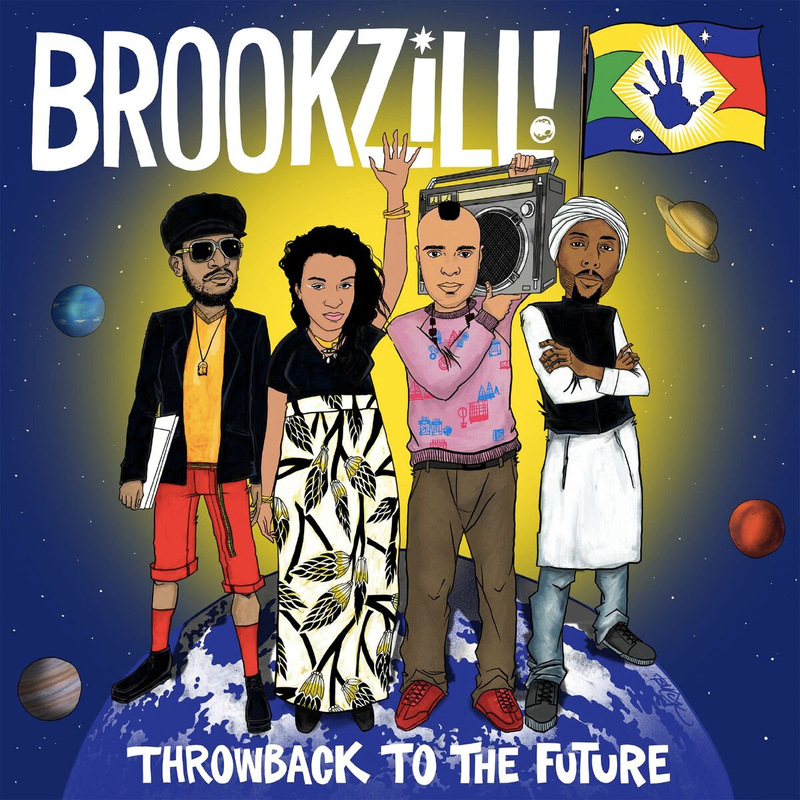 The track – which is available as an instant grat download with album pre-order – is a call to arms for the Brookzillian community. “‘É Noiz’ is Portuguese slang meaning ‘it’s us.’ It’s the only riotous song on the album, a call for action, BROOKZILL!-style. A call to simple, non-consumerist lifestyles where the depth of character and purity of spirit is way more powerful than greenbacks and kicks,”the band explains. Comprised of legendary hip-hop artists Prince Paul (Stetsasonic, Gravediggaz, De La Soul, Handsome Boy Modeling School), producer Don Newkirk (De La Soul, The Dix), MC Ladybug Mecca (Digable Planets + Grammy Winning daughter of Brazilian jazz musicians), and Brazilian MC Rodrigo Brandão (Gorila Urbano), BROOKZILL! traces hip-hop’s future with its far-reaching past, exploring the sonic and cultural connections between the Afro-Brazilian and rhythmic rituals. Throwback To The Future – out 10/7 on Tommy Boy Ent. – features collaborations with a host of Brazilian artists, keyboardist Brian Jackson, MCs Del The Funky Homosapien and Count Bass D, turntablists Kid Koala, Mr. Len, and more. Singles “Let’s Go (É Noiz)”, “Mad Dog In Yoruba”, and “Saudade Songbook” feat. Count Bass D are available as instant grat downloads w/ album pre-order. Posted in musicTagged BROOKZILL!, Don Newkirk, Elle, Ladybug Mecca, music, Prince Paul, Rodrigo Brandão, Tommy Boy Ent.